Robert Hooke coined the term "cells". 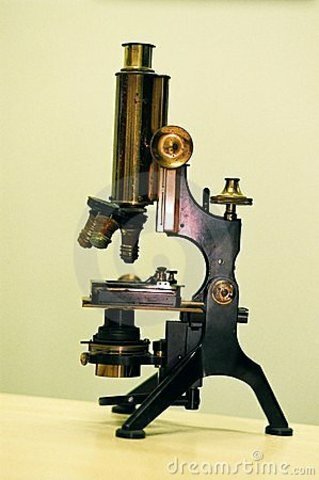 Anton Van Leeuwenhoek also observed the first microorganisms (by human eyes). Both of these discoveries were made through the benefit of magnification through the microscope. 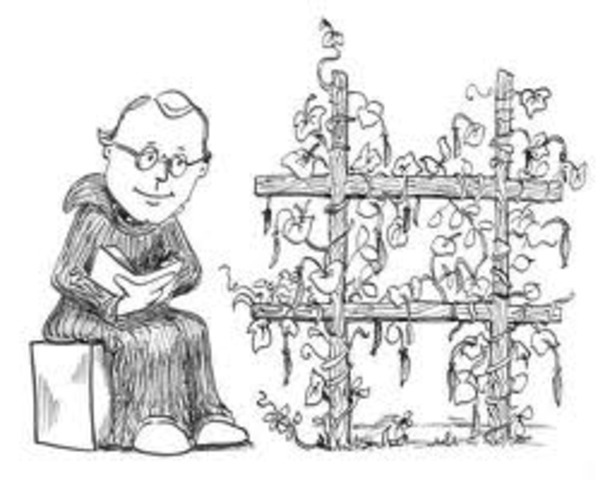 Gregory Mendel, an Austrian monk working with pea plants, discovered the simple laws of inheritance of traits that allowed one to predict the outcome of crosses with certain traits. This is known as hybridization. 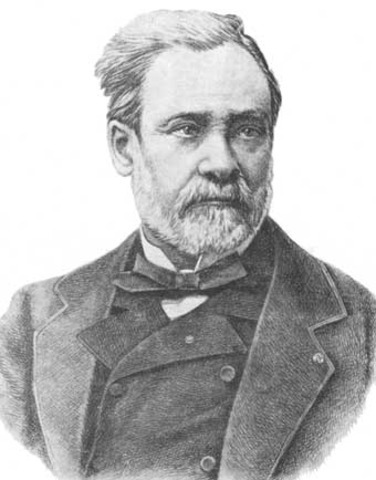 Louis Pasteur describes the scientific basis for fermentation, wine making, and the brewing of beer, establishing the science of micrrobiology. 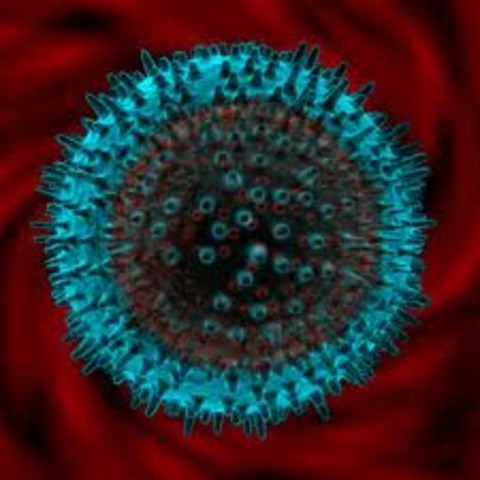 He also proposed the Germ Theory, claiming that microorganisms were respondsible for infectious diseases, a radical proposal at that time. 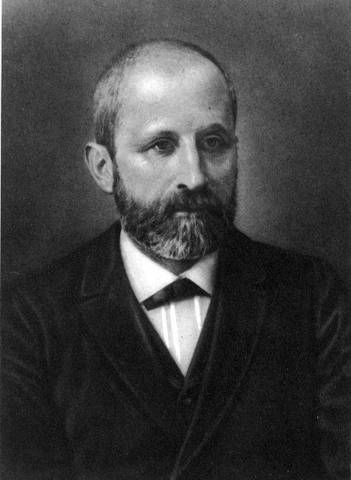 Johann Miescher found nucleic acid in white blood cells from pus in bandages. 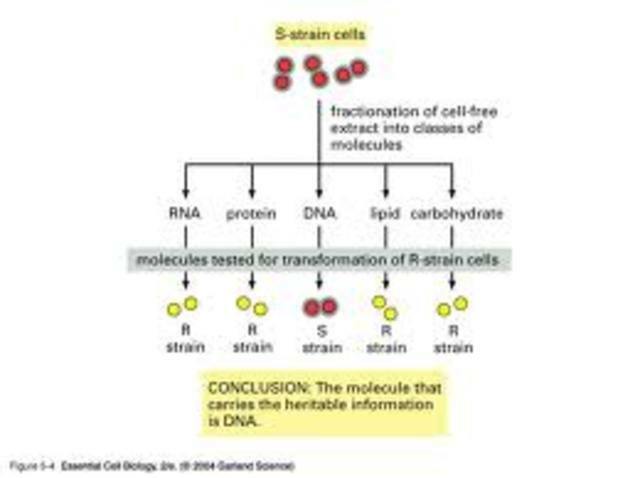 This later led scientists to believe that DNA might be the inheritable material of an organism. 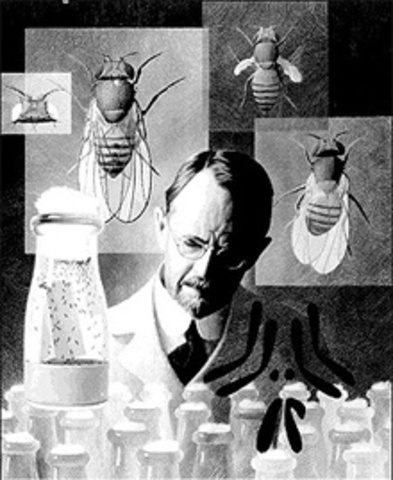 Studying fruit flies, Thomas Hunt Morgan discovered that genes wer on chromosones. 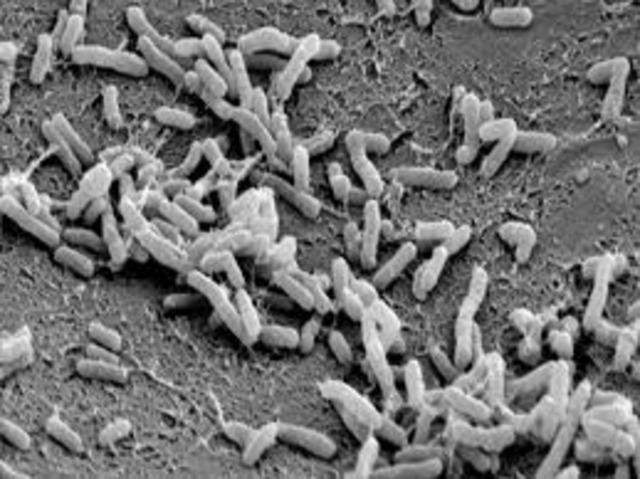 Fred Griffin, using mice, probed that genetic material could be moved from one strain of bacteria to another. 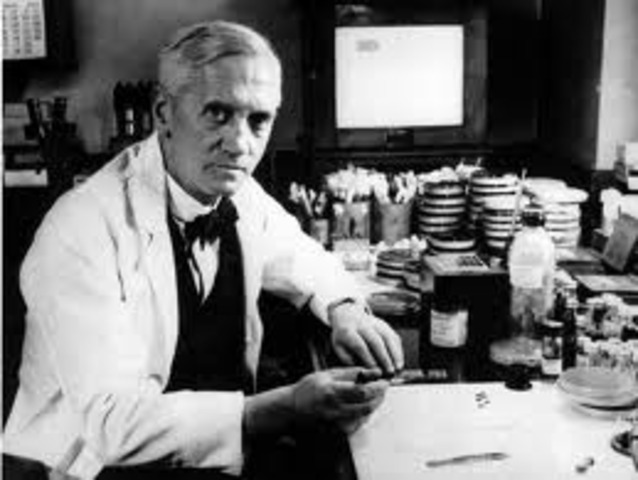 Sir Alexander Fleming isolated penicilin from fungus. Many of his ideas are used to develop biotechnology drugs today. 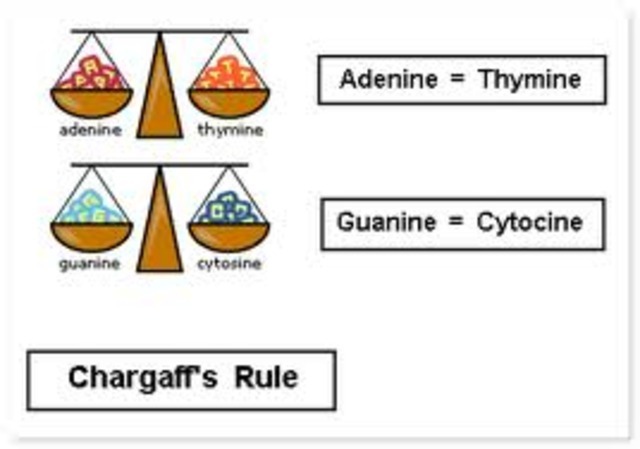 Chargaff showed that in DNA the number of units of adenine equaled those of thumine and the number of units of cytosine equaled those of guanine. Beadle and Tatum propose the "One gene produces one enzyme" hypothesis, using genetic analysis to analyze the results after mutating various (living) objects. 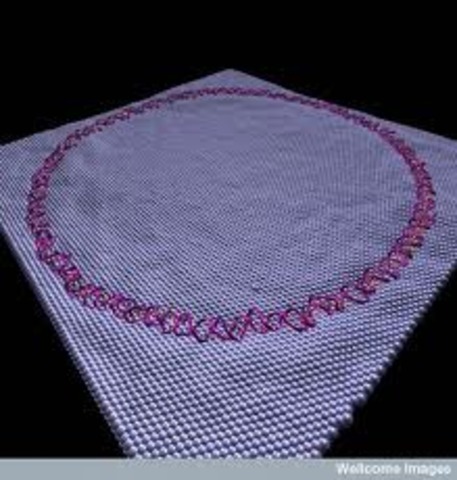 Avery, McCarty, and McLeod established that indeed DNA was the hereditary material that was transferred (relating to previous experiments and discoveries). 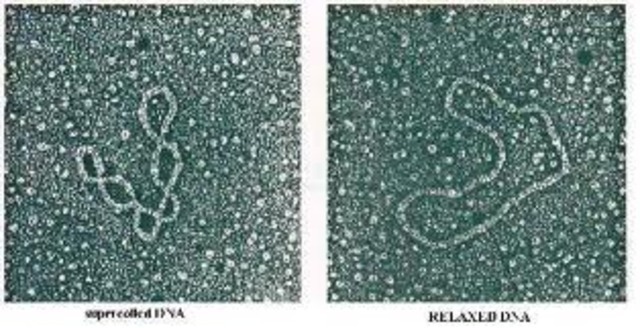 Using their famous "blender experiment," Hershey and Chase proved viruses replicated using DNA and confirmed the role of DNA as the hereditary material. Rosalind Franklin and Maurice Wilkins established through X-ray crystallography that DNA was indeed a double helix. 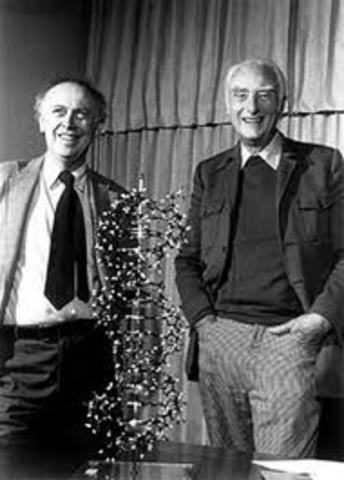 Watson and Crick discover the structure of DNA, basing it on a spiral staircase structure and relating it to nucleotides. 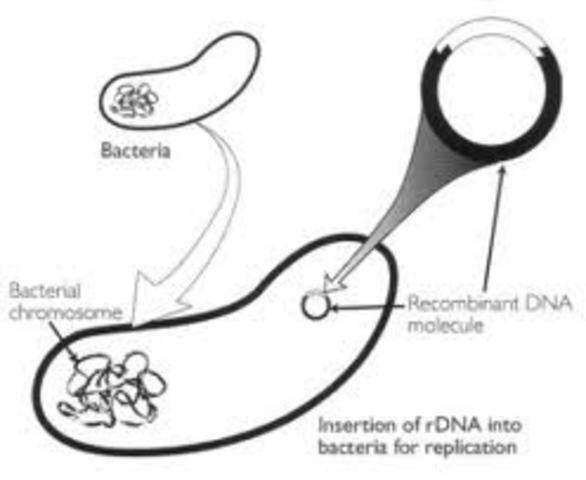 Hayes discovered plasmid DNA, circular pieces of DNA found in bacteria. SWalter Gilbert discovered the mechanism of gene expression through his study of messenger RNA. Arber, Nathans, and Smith discovered bacterial restriction enzymes that cut DNA. 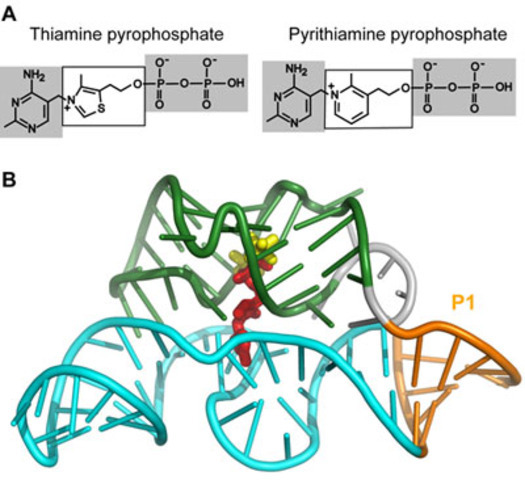 Khorana and NIrenberg discovered the 64 codons (the triplet code of 3 bases in DNA) that code for the 20 amino acids maknig up proteins. 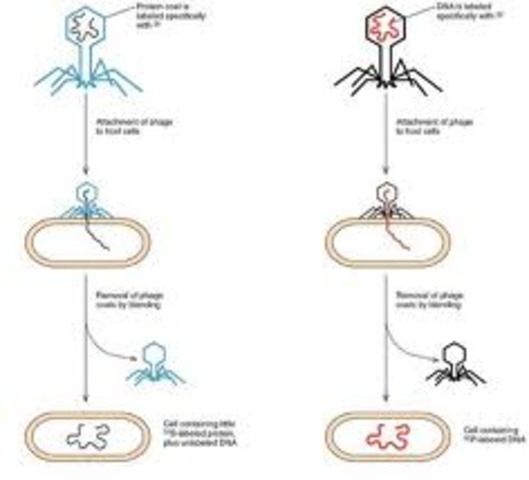 DNA plasmids were isolated and purified by Vinograd. 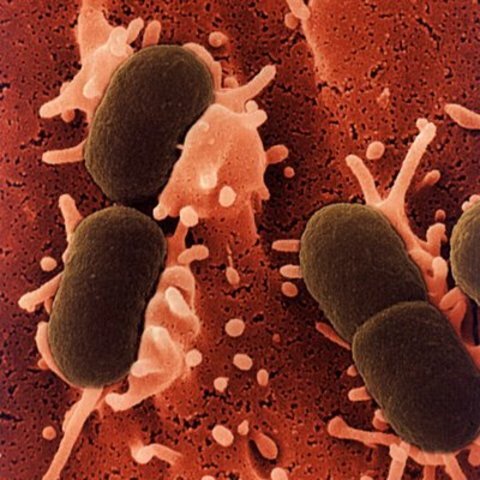 Madel and Higa were respondsible for the first transformation of the bacterium Escherichia coli. 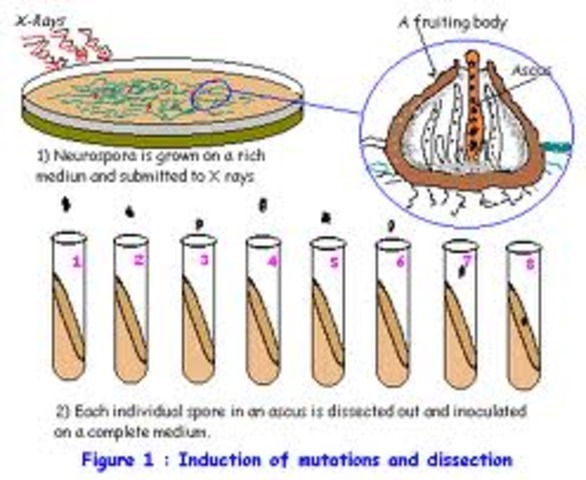 Cloning experiments were conducted by Boyer and Cohen. 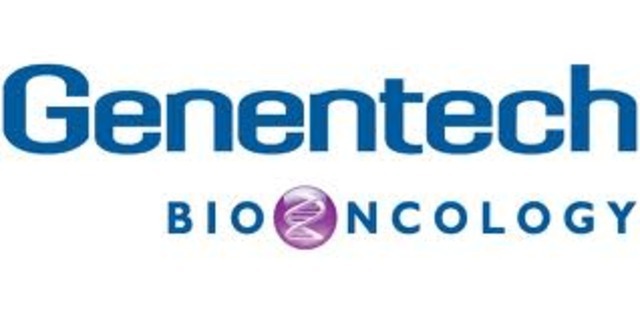 Genentech, the world's first genetic engineering company, was founded. 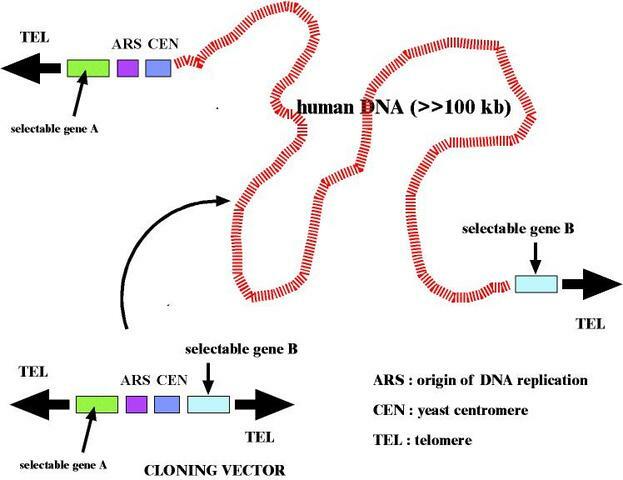 140 scientists met to draw up guidelines for work with recombinant DNA in microorganisms. Paul Berg was a key organizer. 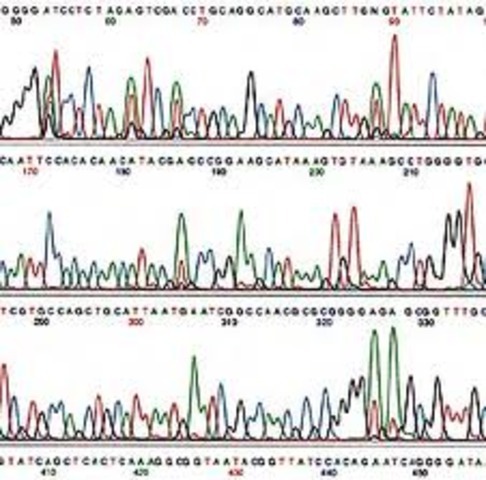 Sanger and GIlbert found a way to sequence DNA. 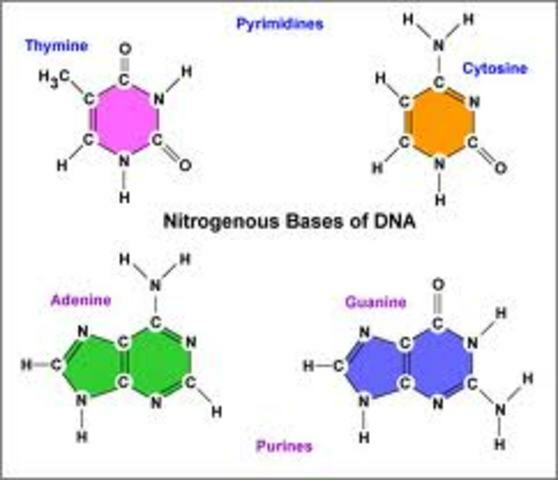 Given an unknown piece of DNA, they were able to read the correct order of bases of adenine, cytosine, guanine, and thymine. Botstein found that one cold be identified by the pattern made of one's DNA through a digest by different enzymes. 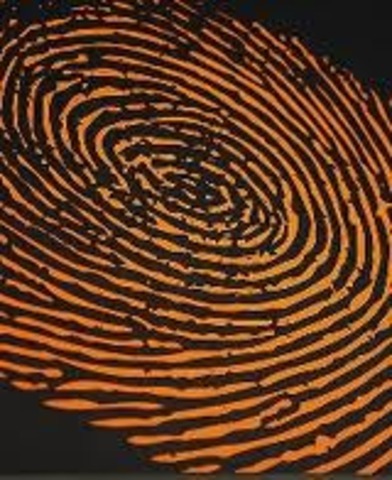 This DNA fingerprint was called a Restriction Fragment Length Polymorphism (RFLP). Louise Joy Brown was born, the first human baby resulting from in vitro fertilization, in which sperm and egg are joined in a petri dish. 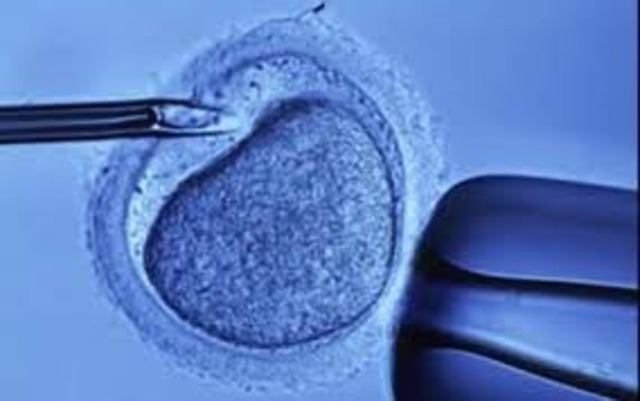 The fertilized egg is later implanted in a womb. The U.S. Supreme Court ruled that genetically altered life forms can be patented. This resulted in a huge startup of biotech companies. 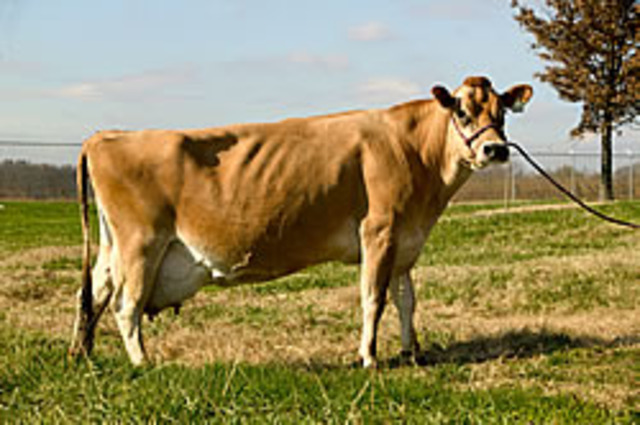 Ohio University students made the first transgenic animals. 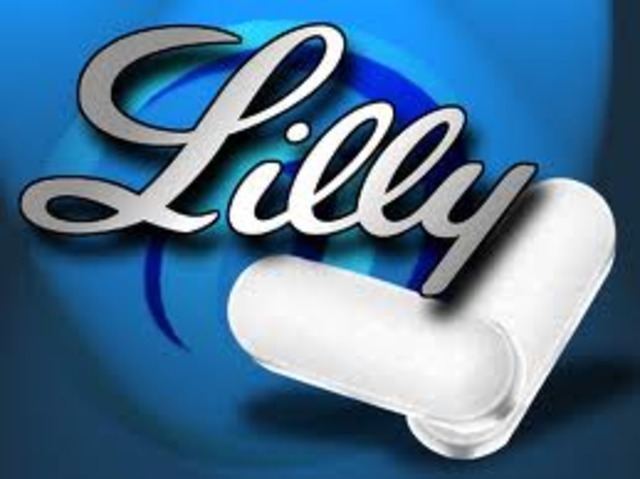 Eli Lilly Company placed a human insulin gene inside bacteria. 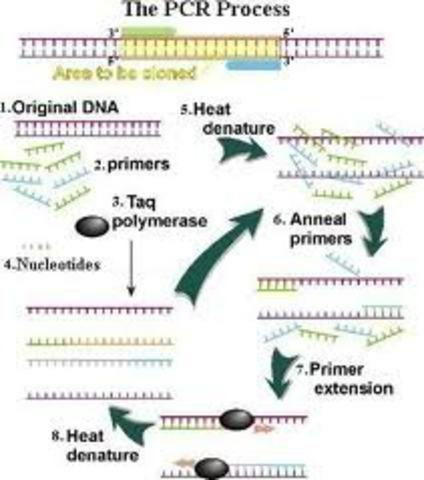 Kary Mullis invents polymerase chain reactions (PCR) to amplify DNA in the labratory. Schell, Chilton, Van Montagu, Fraley, and Horsch transformed plants with Agrovacterium-meditated gene transfer. An automated fluorescence sequencer was invented, speeding up the labor-intense process. 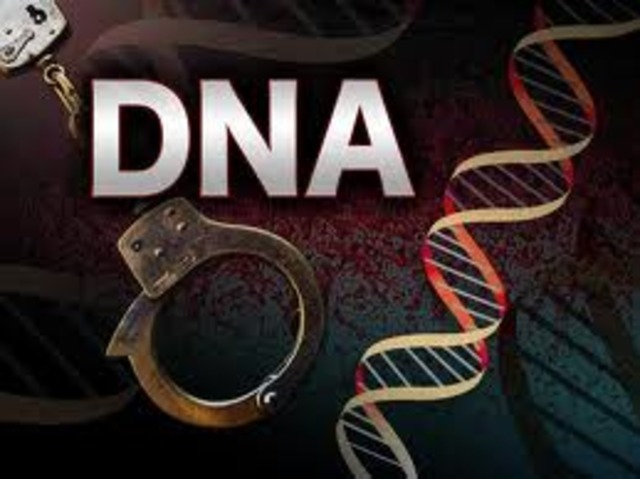 Jeffries applied RFLP (DNA fingerprinting) in DNA profiling to the study of criminal cases. 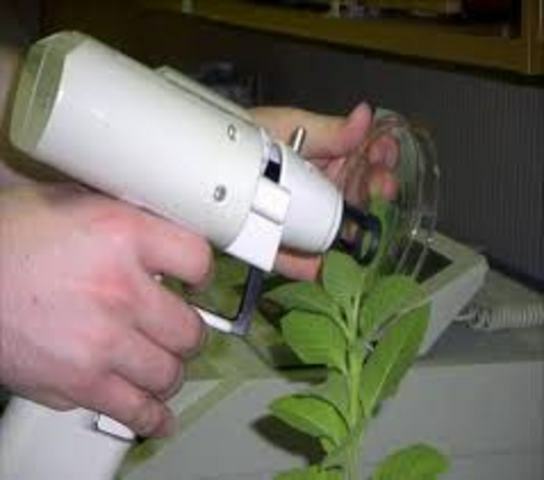 Genes were moved into an organism through the use of a gene gun. NIH revised safety guidelines for recombinant DNA to include plants grown in greenhouses and animals raised in barns. Andrew Fire and Craig Mello discovered RNA interference, silencing of genes, in the worm C. elegans. 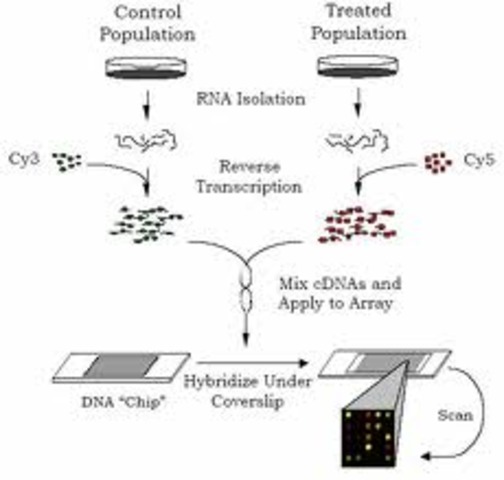 DNA microarray (DNA chip) technology, looking at the expression of all the genes of an organism at one time on a microscope slide or silicon chip, was developed. 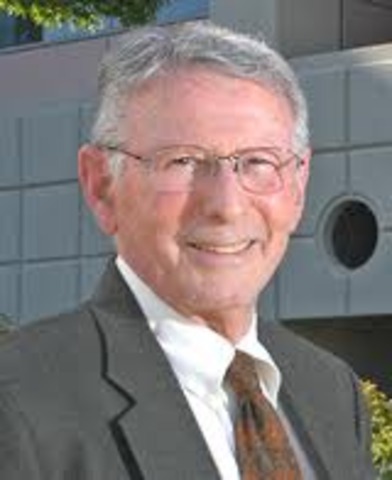 Kohler, Milstein, and Jerne used monoclonal antibody (MAb) technology. Maynard Olson and colleagues at Washington University invented "yeast artifical chromosones," or YACs, which ae expression vectors for large proteins. 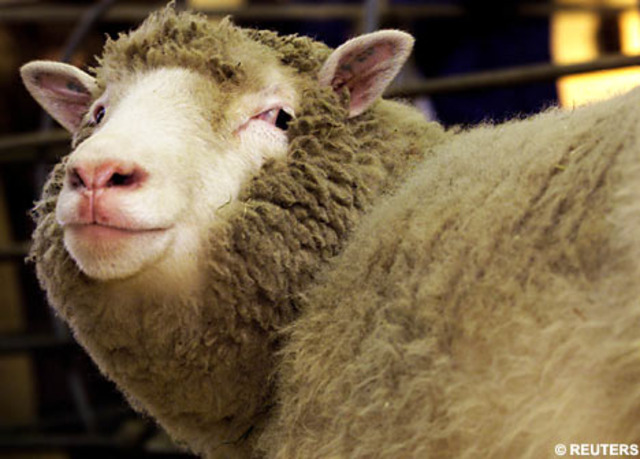 Ian Wilmut cloned Dolly the Sheep from an adult cell of a ewe at the Roslin Institute in Scotland. Daviri and Garner invented an automated DNA sequencer that had a capability of sequencing 76,800 vase pairs per hous, 5 to 30 times faster than existing sequencers. 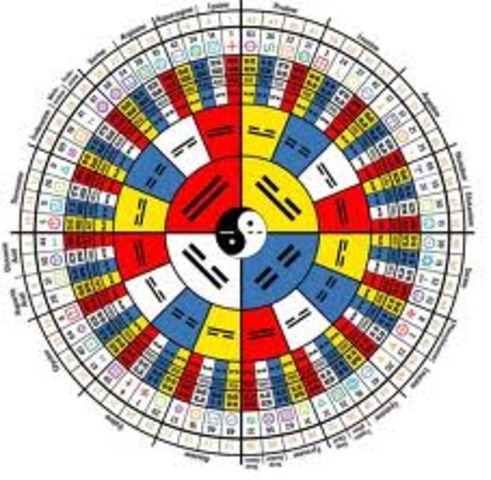 Technoloy like this greatly sped up the Human Genone Project. 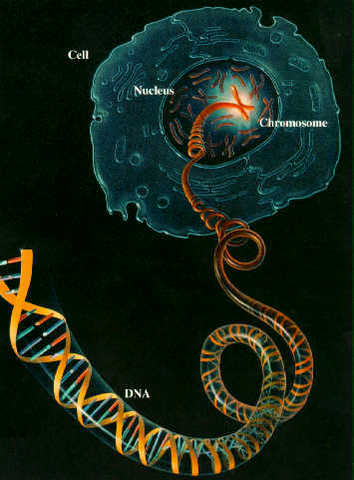 Ron Breaker coined the term riboswitch for part of an mRNA molecule that can regulate its own activity and therefore gene expression. 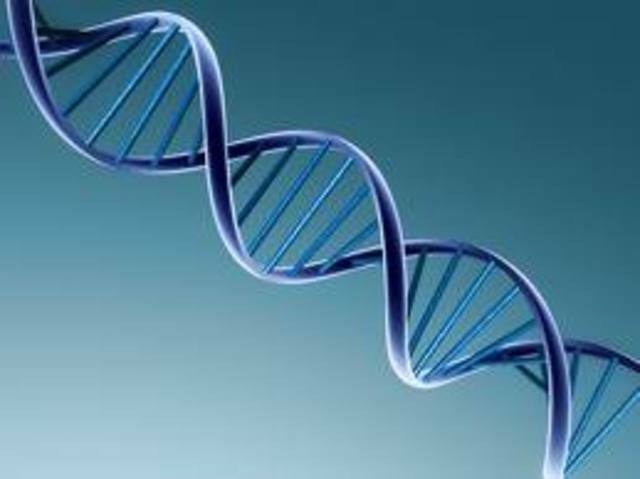 Announcement was made of the completion of the HUman Genome Project (initiated in 1990) by Francis Collins and Craig Venter. 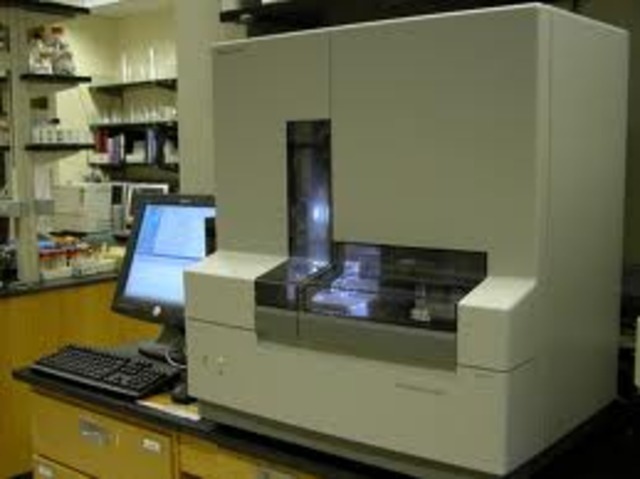 the project provided the ability to find genes and gave rise to the sequencing of other genomes. Few events happened during this era, yet the ones that did were of utmost importance. They set up the foundation of Science and Biotechnology as we know it. 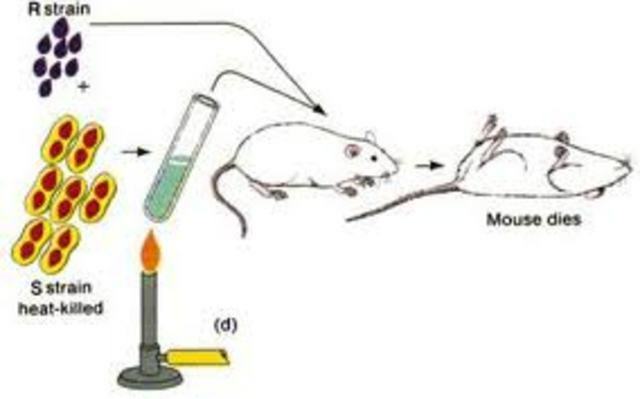 This era of Biotechnology, relating to the inventions and discoveries, mainly relate to DNA. This would help humans extraordinarily, benefiting them in medicine, genetics, agriculture, and other areas. This era stretches from the 1970s to the present. New technologies are being found to combat what are world is currently going through.